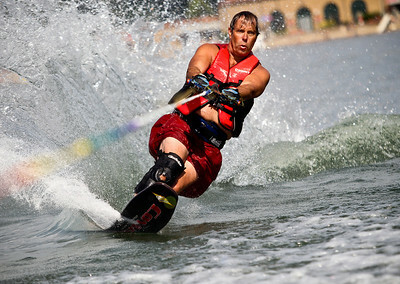 Josh Peckler - Jpeckler@shawmedia.com Michael Gende of Mchenry closes his eye to prevent from getting water in them as he slalom water skies at Crystal Lake Sunday, July 15, 2004. 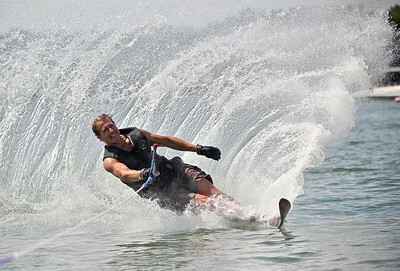 The Crystal Lake Water Ski Association hosted a slalom qualifier water ski tournament to provide a level playing field of fun competition for members. 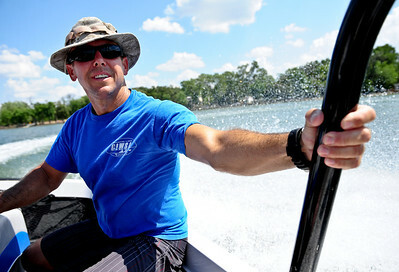 Ed Figel of Crystal Lake gets congratulated by Michael Gende after a near perfect run while slalom water skiing at Crystal Lake Sunday, July 15, 2004. 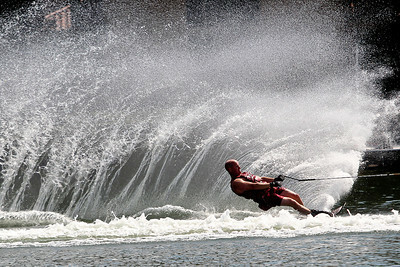 The Crystal Lake Water Ski Association hosted a slalom qualifier water ski tournament to provide a level playing field of fun competition for members.